The narrative of Rome’s eventual demise relies on the documentary format as much as the history makes use of spectacle. There is no one protagonist, so the structure of the show allows each individual threat to Rome its own segment for discussion. 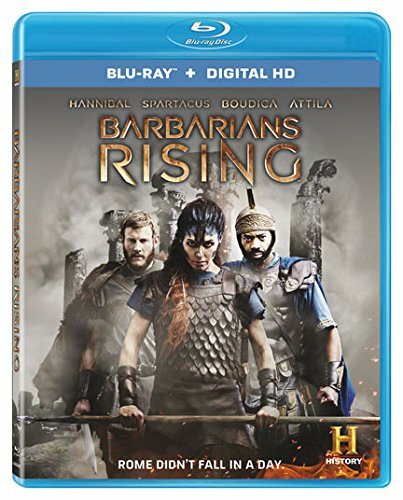 Beginning with Hannibal and ending with Attila, the four-part docudrama covers a 700-year period of resistance against the Roman Empire. What makes this engaging, however, is not the massive scale of the narrative. Instead, the series succeeds because of the intimacy allowed in the story of each rebel leader. Although occasionally interrupted by a talking head providing details of our historical knowledge, it is the successful recreation of these moments that allow the story to come alive. There has been some criticism of this show for the accuracy and detail sacrificed in favor of spectacle. While I can appreciate the frustration of historians expecting more from a show on The History Channel, I likely would have found a traditional documentary less engaging. I suppose that the worst thing you can accuse The History Channel of doing is making an effort to reach a wider audience. Since they have already begun contributing with original programming, “Barbarians Rising” should not seem so out-of-place. Heavily stylized with polished visuals and slow-motion action, this is one of the few docudramas that is enhanced by the high definition presentation of the Blu-ray release. Each of the episodes (Resistance, Rebellion, Revenge, and Ruin) are just under 85-minutes long, with two included on each of the discs in the set. The Blu-ray release also comes with a Digital HD copy of the series, though there are no special features on the discs themselves.